I find short clawed otters funny. They are always busy when awake. I took this picture at Dartmoor Wildlife Park near Plymouth, Devon. I used my 500mm lens handheld. 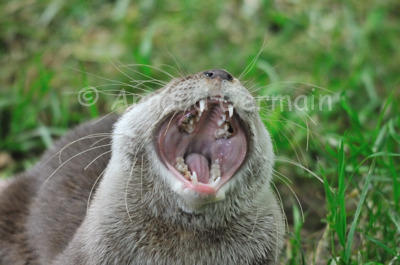 I had never seen the inside of an otter's mouth before!